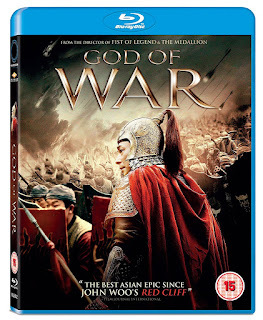 From the outset, “God of War” had all the collateral of being a great film, starting with the big budget, continuing with the historic/epic/based-on-actual-events setting, and finishing with the collaboration of three legends of Asian cinema, Sammo Hung, Yasuaki Kurata and Gordon Chan, plus the already iconic Vincent Zhao. Furthermore, and contrary to the usual outcome of films that seem to have it all, which usually end up as complete blunders, “God of War” succeeds in every aspect. The story takes place in 1557 China, a place that suffers from political turmoil, but also from the attacks of Japanese pirates, a group consisting of samurai, ronin and local allies, who pillage along the coastline. Eventually, the pirates realize that the Chinese army cannot provide much resistance, and pass on to the land, capturing a fortress which they use as their stronghold. Commander Yu of the Chinese army tries to breach the fort, but fails repeatedly, as he is bound by tradition that even has him attacking the exact same time every day, making his soldiers fodder for the guns of the ronin. At that point, the uprising young general Qi takes command, and using his cunning and innovative tactics, manages to take over the fort. However, soon after his win, he realizes that his adversary, general Kumasawa, is as cunning as him, and his victory is short lived. Furthermore, he finds himself battling on three fronts: against the Japanese, against the corruption and treacheries of the palace, and against his own wife, whose stubborn and over demanding character threatens his rule in his own house. 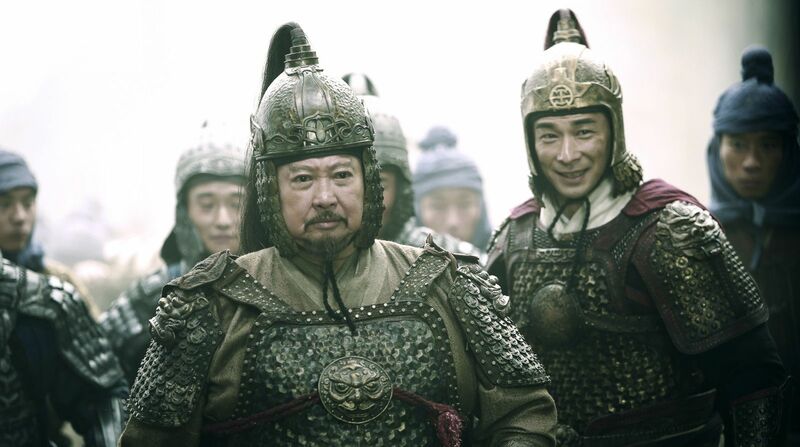 Gordon Chan directs a visually impressive film, where the action starts from the first frame, with the battles in the fort highlighting his ability to direct many actors at the same time. Even more impressive is the fact that this prowess extends to a number of different types of action, with the movie featuring battles inside the city, in castles, in forts, in open fields, and even some spectacular one on ones, with the two where general Qi fights Yu and Kumasawa being the most memorable. In that fashion, the action choreography in the film is amazing, while the battles benefit the most by Takuro Ishizaka’s cinematography, which highlights both the action and a number of beautiful settings, and the fast editing of Chan Ki Hop, who manages to retain a very fitting rhythm throughout the 128 minutes of the film. Another point of visual prowess is the presentation of the era, with the work done by Wong Po Yee in the costumes of all the different fractions (aristocrats, Chinese warriors, samurai, ronin, poor laborers) being more than impressive. The trait extends in the production design of Yau Wai and Ming Alfred, who present the many different settings with accuracy and beauty. However, the element that sets “God of War” apart from other action blockbusters is the exploration of its main character, general Qi, whose character is thoroughly analyzed in a number of different circumstances and settings. His relationship with his wife, played with gusto by Regina Wan, with commander Yu, his constant troubles with the Chinese bureaucracy and the mental confrontation with Kurata are also presented, providing the film with additional depth. The same applies to the politics of his opponents, with Kurata having to balance the dedication to the rules of the samurais with the promiscuousness of the ronin, and the ambition of the head of the samurai, Lord Yamagawa. Some overdramatic moments and the depiction of the Chinese splendor could not be missing from a blockbuster, but are minor, and do not fault the general sense of the movie. Gordon Chan based much of the film upon the character of Qi, and Vincent Zhao delivers in great fashion, as he presents a number of opposite psychological statuses that include happiness and sadness, frustration and calmness, cockiness and humility, with an unwavering elaborateness, while he also manages to be rather good in the action scenes. Gorgeous Regina Wan is also quite good as his seemingly obnoxious wife, with the two of them having great chemistry, while Yasuaki Kurata presents a grandiose villain as general Kumasawa. “God of War” is a great film that shows that blockbusters can combine visual prowess with artistry and depth, in a very entertaining combination that deems the film a true epic.